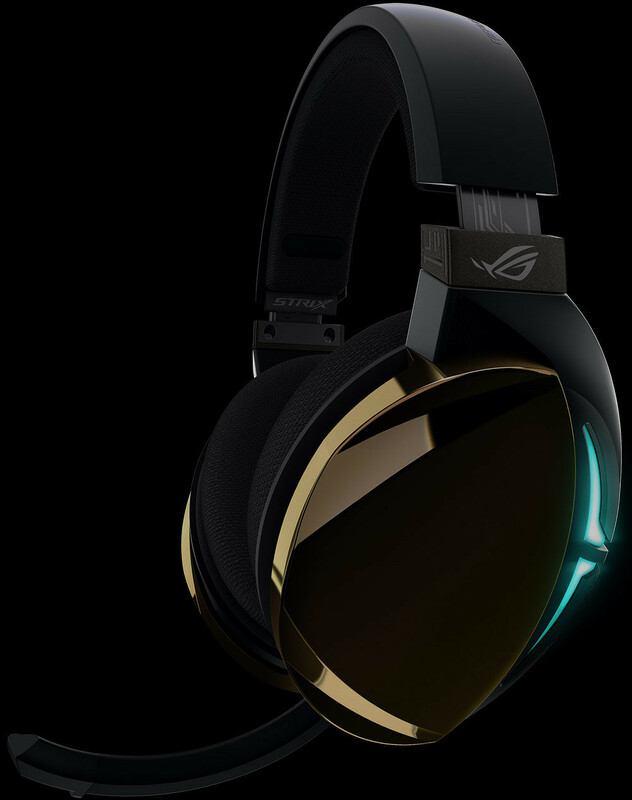 ASUS introduced the Republic of Gamers (ROG) Strix Fusion 500 gaming headset, a step up from the Strix Fusion 300 the company launched last September. 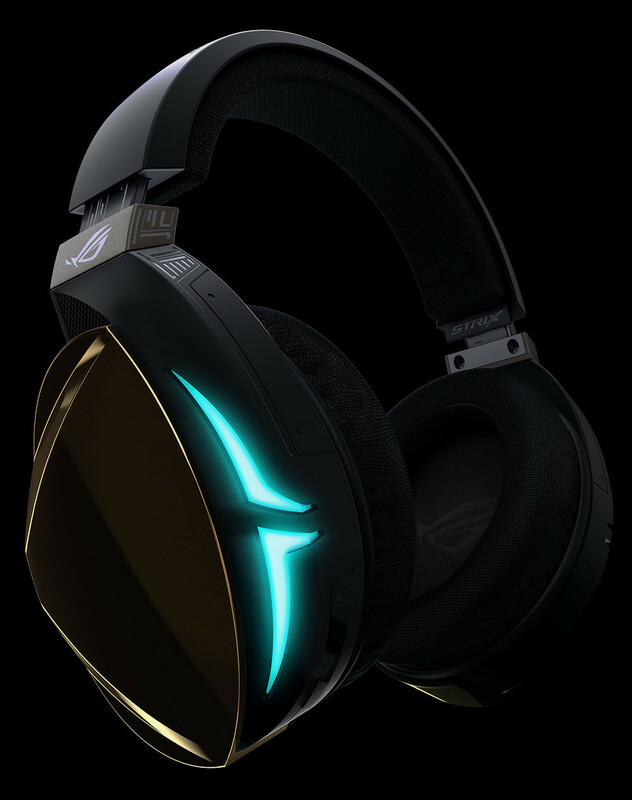 The headset essentially retains the design of the Fusion 300, but steps it up with gold-metallic body panels around the cans, RGB multi-color LED diffusers replacing the red LED accents, which you can control via ASUS Aura Sync RGB software; and under the hood enhancements. The headset uses a higher quality ESS Sabre 9018 DAC combined with ESS 9601 amplifier. The DAC has a high SNR, and puts out 24-bit/96 kHz audio. The enhanced audio setup is mated with 50 mm ASUS Essence drivers, and improvements made to the passive acoustic dampening material around your ears. 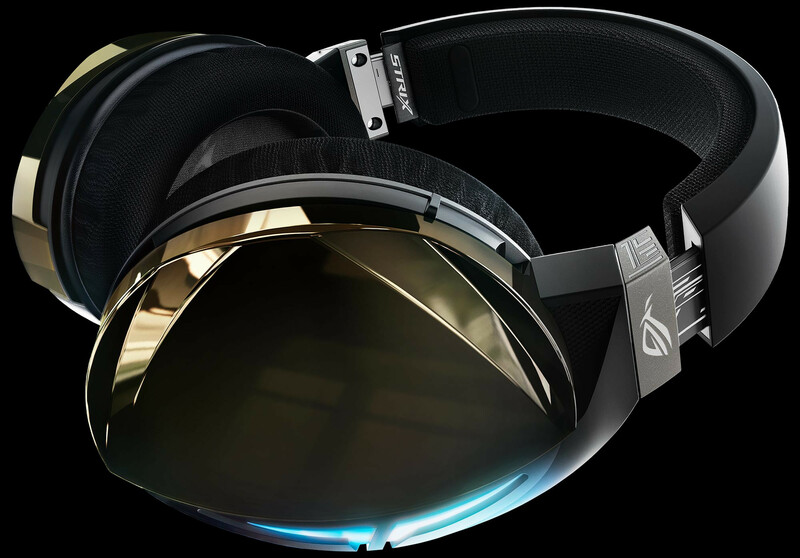 ASUS included game-specific virtual-7.1 surround DSPs with this headset. Available now, the ASUS ROG Strix Fusion is priced at USD $179.99, about $50 pricier than the Fusion 300. 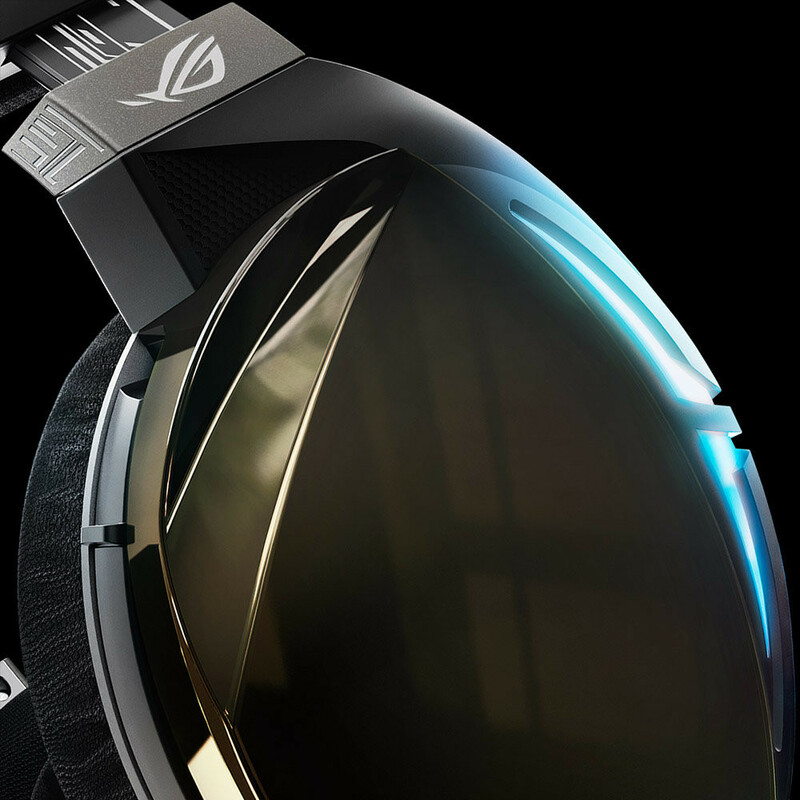 "ASUS included game-specific virtual-7.1 surround"
I am so tired of emulated surround sound in headsets. Stop trying to emulate a fricking speaker setup on headphones. Come up with headphones drivers that can accurately position sound. It's things like this that hold back audio technology. If you were going to emulate anything on headphones it should be biannual audio, which is actually designed for headphones unlike virtual surround sound. Also, a built-in DAC means you can't use your computer's. This must be aimed at console gamers because most gamer motherboards already have decent DACs built in. Accurate positioning in headphones is perfect if it is mixed as binaural try some of the stuff on youtube, or alternatively some from HD Tracks. Alternatively with ambisonics done right it is also nearly perfect, but very limited material. If the output from the game engine is run through a good spatializer you can get very really good spacial definition in headphones. Only thing missing is some good generalized HRTFs that also work in the near field. You can toggle the virtual 7.1 on/off with a flick of a button. Mobo has ok soundcards. Has been improved, but still nowhere close to what Fusion 500 is offering. Both ESS Sabre 9018 DAC and ESS 9601 amplifier are by far superior to any mobo audio. Fusion 300 is actually quiet good (better than I thought), this one would sound better over the 300 with ESS. Never listen to SHP9500. The chip looks good on paper, but it's the implementation that matters. Have seen so many poorly designed products that sell only because they put some expensive ESS chip in it. What is to implement? It is just hardware chip. Name another headphone that uses ESS DAC? I hope they are able to use it as such a good decoder with only 96Khz , yap not 192Khz, because it would be closer to its price class ! improvements were necessary because, as in the case of the previous generation, too much external invasion of the signal from the plastic housing. It might be said that they look good, but that's not their function. 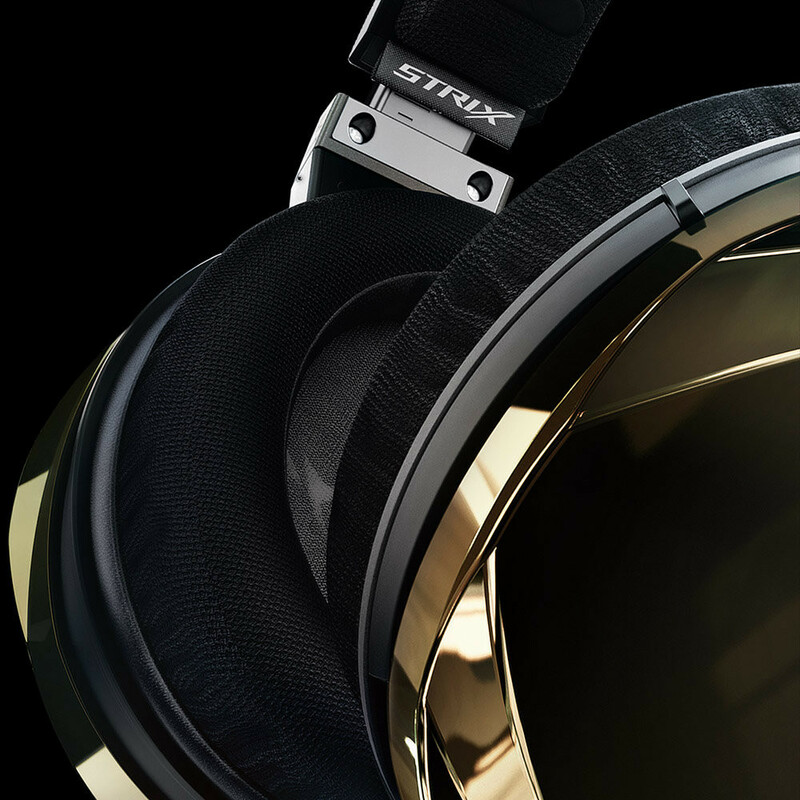 Strix's series had good speaker drivers 60mm, but all the other parts , totally sucked! When i buying them a microphone switch off switch didnot work, the cables are so poorly insulated that the shifted head has increasingly beaten the signal and has since become useless. I suggest testing the handsets before buying.